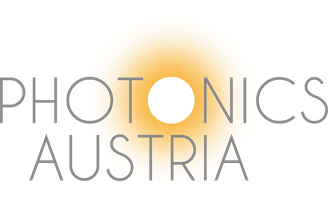 Erfolgsgeschichten made in Austria - photonics-austrias Webseite! 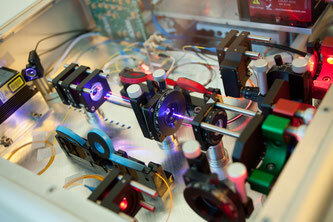 Rolling the dice 300 million times per second – thanks to quantum physics and photonics. Researchers at the Austrian Institute of Technology investigate cost efficient technologies for the fast generation of random numbers that are unpredictable. 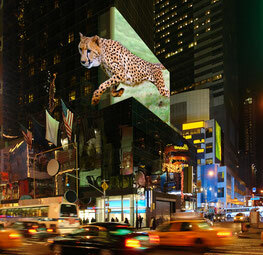 TriLite Technologies introduces a new laser display technology enabling glasses-free 3D outdoor displays and a new ultra-small RGB laser module for use in pico projectors. 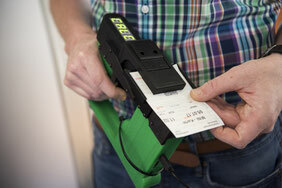 An innovative technology for unforgeable printing of tickets is going to stop the black market of ticket counterfeiters. The usage of invisible marker pigments in the ticket paper will prevent big financial damages. 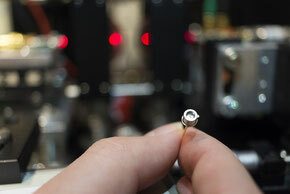 An Austrian research effort paves the way for seamless integration of Quantum Cryptography (QKD) into existing classical communication networks. The collaboration, existing of AIT – Austrian Institute of Technology, TU Vienna and the IT company Bechtle Austria (formerly Sitexs-Databusiness IT-Solutions) demonstrated an actual integration of a data link secured by Quantum Cryptography inside a classical DWDM network. During the FFG found project “QKD-Telco”, the researchers built a QKD prototype that creates secure keys between to communication parties. The novelty of the system is that all communication traffic (quantum and classical signal) is sent over a single optical fiber only. 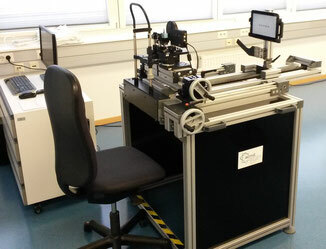 Following successful bench testing, the Austrian CTR Carinthian Tech Research is working on a laser ignition system for use in space based on their HiPoLas® laser system. Funded by the European Space Agency (ESA) the laser ignition system could be used in the Ariane 6 launch vehicle currently under development by German-French company Airbus Safran Launchers. 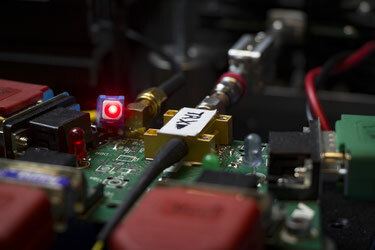 Austrian researchers pave the way for novel chip technology enabling the fifth generation of mobile communications - 5G. A consortium of researchers around the Austrian Institute of Technology aims to disruptively increase the radio carrier frequency while seamlessly merging photonic and electronic chip elements. 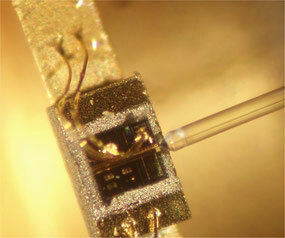 The best of both worlds, combined on one chip: intelligent electronic meets fast photonic. 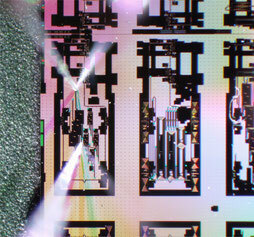 The one-chip-solution made in Austria is cost efficient and scalable. Conventional microelectronic circuitry has improved a lot in the past centuries: nowadays up to 1 billion transistors can be placed on a microprocessor with the size of a fingernail - and thanks to silicon chip technology it is affordable for everyone. 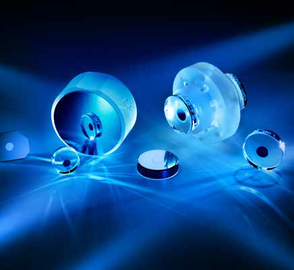 However, the fast growth of information capacity sets limits for state-of-the-art electronics. 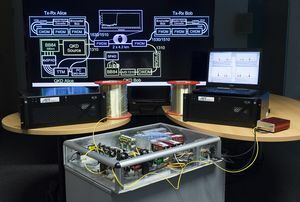 Quantum entanglement is on the leap from research laboratories to an industrial application. Researchers at the Austrian Institute of Technology could have recently pushed this process enormously. A simulator for intraocular lenses, which are used as artificial implants for cataract patients, provides an evaluation of the optical lens characteristics regarding the human sight. This system allows a more accurate individual adaption of the lens and closes the gap between technical parameters and extensive implantation surveys. 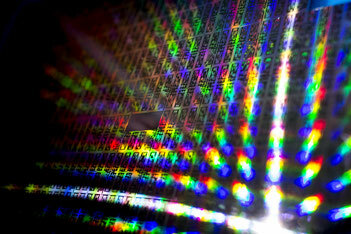 Crystalline supermirrors are a proprietary technology pioneered by CMS and protected by international patents. They are globally unique and enable numerous new applications in industry and academia as well as improving existing applications significantly.